As COO of a major ad agency and founder of a non-profit, this open minded couple gave the design team the “green light” to develop an exterior environment in line with their vision. Playful and creative, the design solution accommodates children and adults alike. 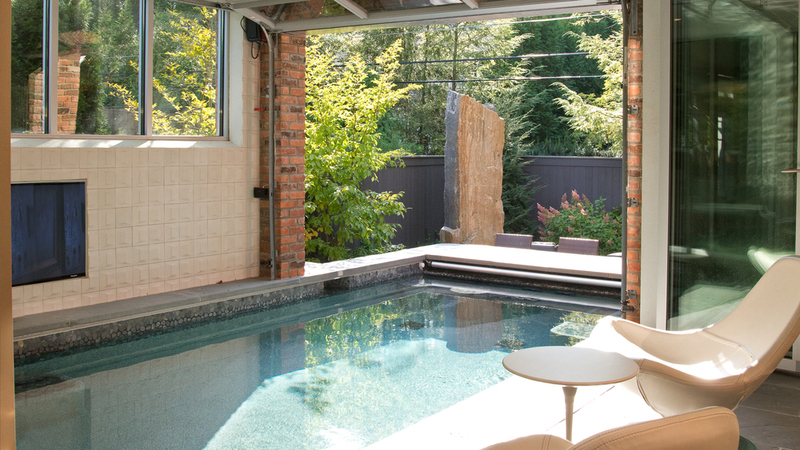 A majority of the swimming pool, with placement limited by a utility easement, was required to be constructed within the great room of the home. 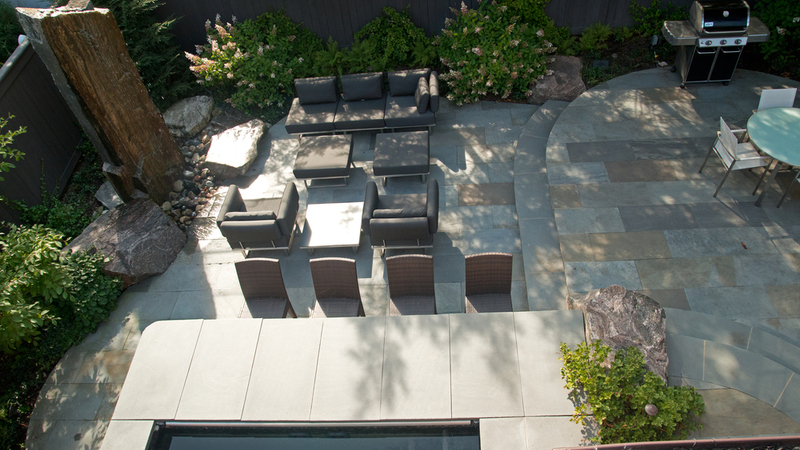 Oversized granite outcroppings that were craned into place beautifully integrate with the landscape. 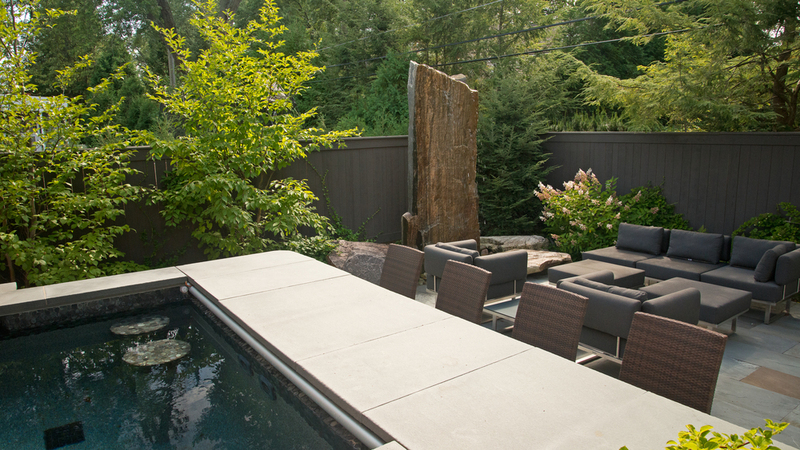 A single granite monolith creates a focal point water feature that also functions as a shower. 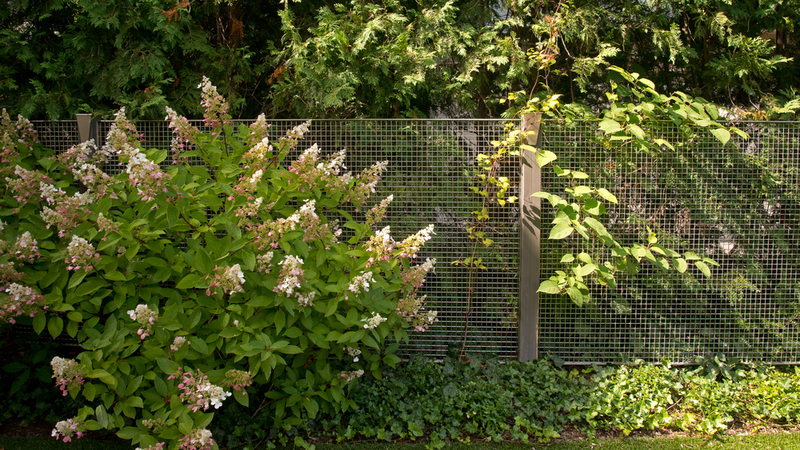 "It’s projects like this that separates landscape architects from basic landscape designers."